Mention CETI to a taxi driver anywhere in Ceuta and he will know what you mean. 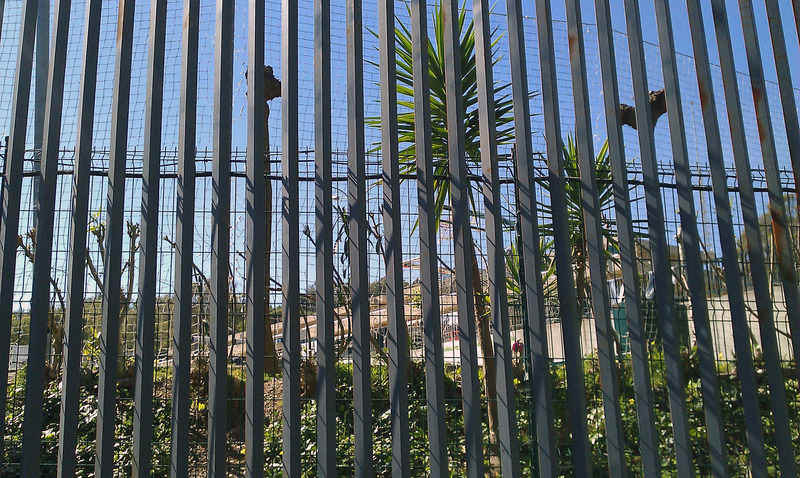 Everyone in Ceuta knows about the immigration removal centre perched upon a steep hill overlooking the sea. The conditions are humane, even inviting, compared to similar immigrant-holding centres elsewhere in Europe. This is why the migrants call it a ‘sweet prison’. The open centre is home to around 500 people, most of whom are waiting to be deported. Inhabitants come and go as they please, though they cannot leave between 11pm and 7am without special permission. It is a bit like a children’s summer camp, except it is for adults and their stay is indefinite. The centre has been open since 2000 and is run by the Spanish ministry for labour and immigration at a cost of around €8m a year. There is a hospital open 24-hours dealing with everything from tuberculosis to headaches to depression. Breakfast is served at 8am, dinner is at 7pm and snacks are provided at 5pm. There is a gym, outdoor courts for basketball, football and table tennis. However, it is not the gym or the sewing classes, but the presence of trained-staff from NGOs providing much-needed expert legal and health services that make life bearable for the migrants. Compared to immigration holding centres across Europe, CETI is a five-star establishment. Turning up at CETI is a relief for irregular migrants after the traumas of their journey across the Sahara. There are showers, food, beds, computer access, a doctor and staff with a genuine interest in their wellbeing. What more could they want? Across Europe the answers are the same: freedom from misgovernment, poverty and con­flict. One Nigerian, since deported from Spain, ex­plained that though he was a graduate it was nearly impossible for him to find work at home without connections and contacts. Afghans always speak passionately of their motherland; we have food, we have beautiful mountains, they say, but we also have ISAF, warlords and the Taliban. What irregular migrants and asylum seek­ers want is access to education and work. Globalisation means they are well aware that these things are accessible in Europe and other western countries. But what happens to that drive and ambition in a place like CETI where all they can do is wait? Does it infantilize them? The man in charge of CETI since May 2010 is adamant that it is a good place for immigrants. Car­los Bengoechea, 52, is a Spanish civil servant with experience working on EU immigration policy. “We have conceived this centre as an open centre so that immigrants can interact with the rest of the population of the city. There are no problems, it works quite well. “When they arrive here, they have prob­ably made a long trip in which they have suf­fered a lot. They have been probably vic­tims of many violations of their rights. And probably the average period they use to arrive here in Ceuta is around a year and a half, two years. Then they get into the sea in very small dangerous boats and most of them before coming here to the centre have been saved from the sea in very difficult circumstanc­es and they have seen death very, very near. At CETI, the Red Cross and CEAR, a Spanish NGO for refugees, help prepare asylum applications and appeals. Sheila Mohammed Salah, 25, works at CETI as a social worker. “I love my work. I used to work in a high school teaching, but I like the humanitarian work.” As we wander around the centre, Sheila is at ease with CETI’s migrants, chatting, joking and providing moments of light relief. The migrants living at CETI are packed into tiny dorms, each containing 10 beds and personal lockers. In one cramped room a Nigerian woman cradles her new-born baby, while discussing the possibil­ity of being transferred to the Spanish mainland. Modern Afro-francophone mu­sic reverberates from another room where a group men sit talking. 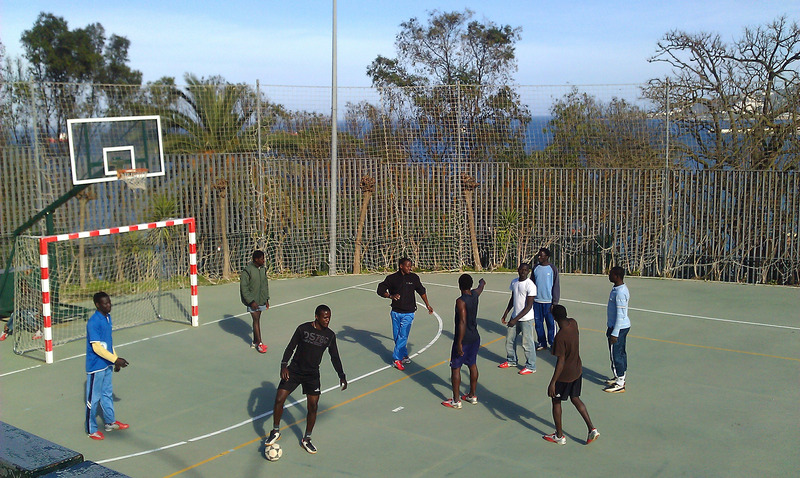 “Here in Ceuta we don’t know how long we stay here – some peo­ple stay for one, two years. We cannot call our family because we cannot work. Most of the inmates speak at least three languages, mostly Arabic, French and Eng­lish (as well as tribal tongues). All are keen to learn Spanish, a sign of their desire to settle rather than keep moving through Eu­rope. CETI provides Spanish classes as well Spanish cooking, creative art and IT lessons. There is a palpable sense of frus­tration among the migrants; while CETI is a pleasant place, many have made long journeys to find work, and being delayed for months and years in Ceuta is difficult. Moroccans from Tetouan, a city in northern Morocco, have the right to enter Ceuta during the day, but they must leave each night. 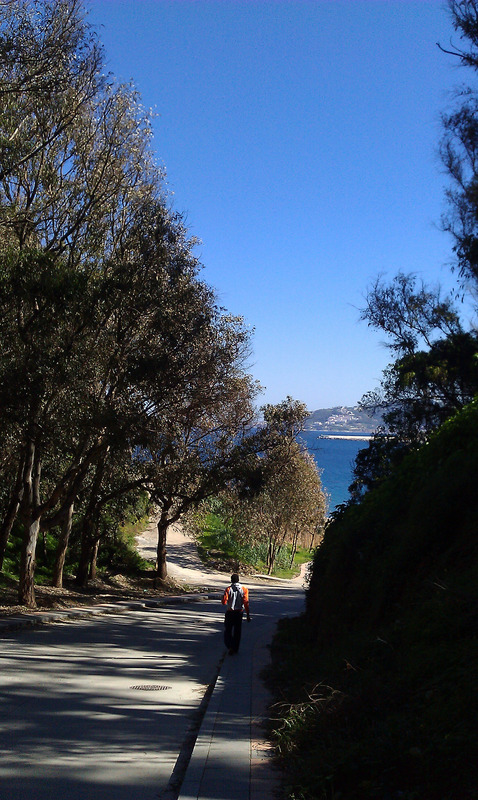 It is against the law for them to work in Ceuta, and or travel to the Spanish penin­sula. Most Tetouans work on the black market selling fruit and other wares, or cleaning homes. For those in CETI, this leaves the most menial jobs, such as carry­ing people’s grocery shopping or parking cars. On a good day, they may make €4 or €5 from this work. Rocky, though, is desperate for a nor­mal life, preferably in Europe. “I want to leave [Ceuta] legally. The only way to go from here is go on a truck, it is very dangerous and you can lose your life. People do that. People who have been here for a long period of time.